1. 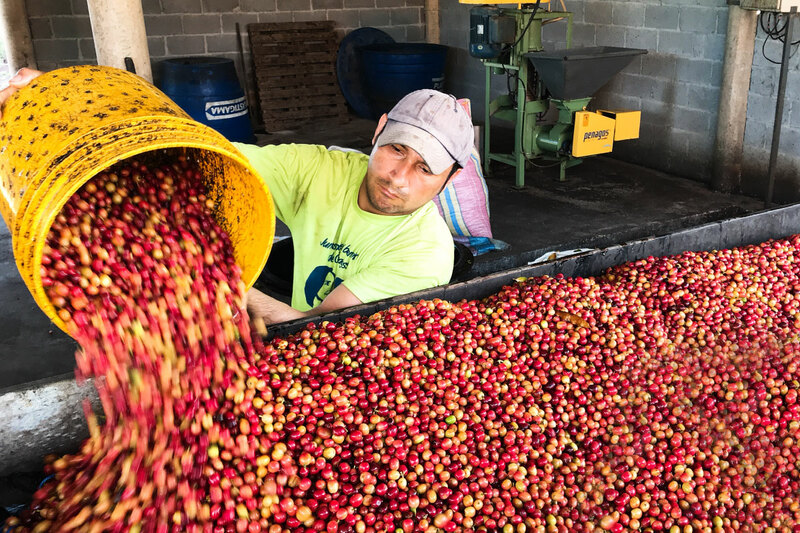 Cherries are hand-picked and brought to the mill where “floaters” (immature or insect-damaged cherries) are skimmed off in giant blue plastic tubs, filled with water. 2. From the tubs, cherries go onto high wooden sorting tables where they remove more off-quality cherries. Next they go to the “pulper”, which removes the seeds from the skin. Then they ferment 10 – 12 in the same blue tubs. After fermenting, they are washed clean and dried. 3. 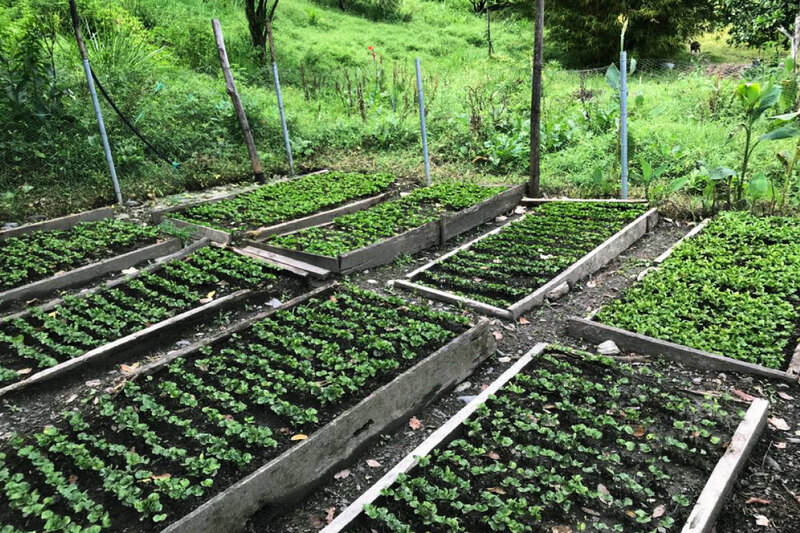 Once coffee is dried to 11%, they pack 125 pounds of Pergamino (coffee seeds still wrapped in their parchment skin) into Grainpro (special bags that preserve quality well) and ship 3 – 5 days to the dry mill in Guayaquil, on the mainland of Ecuador. They have to dry a bit more than normal because of the humidity of the shipping transit and Guayaquil’s climate. 4. 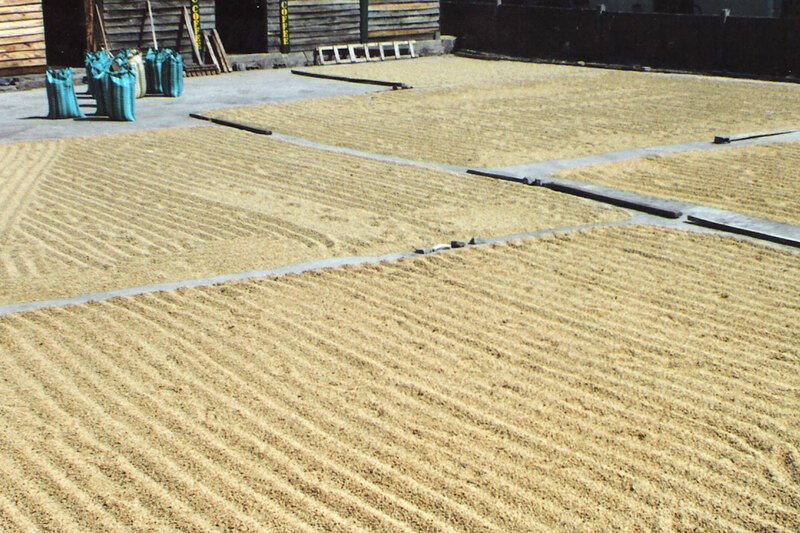 Coffee Pergamino is selected by electronic machines and then the coffee is hulled into green beans. 5. Green beans are selected by density, color, and size using densiometric, laser & electronic machines. 6. 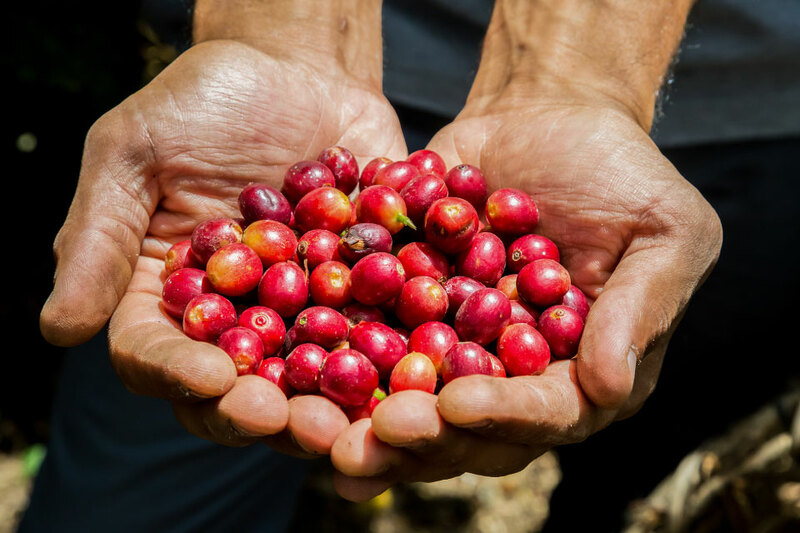 The selected beans are then picked by hand in order to find any defect that might have not been identified by machines. 7. Coffee is cupped and if the profile is approved, the coffee is packed in grainpro bags and sent to the port in Guayaquil for exportation. The green beans are always stored in a temperature controlled room in order to guarantee quality and freshness. A coffee with roasted and sweet cereal and biscuit notes. Round, with some cacao-like bitterness and full body, this is a must for every coffee lover. The first split has a medium roasting time and medium roasted colour to keep and enhance the fruity aromas. The second split is medium to dark roasted at medium roasting time to reinforce the body and overall structure of this coffee.